2017 will be the year of the Nokia brand's re-entry into the smartphone space. This has already been confirmed multiple times by the Finnish company itself, most recently a couple of weeks ago. 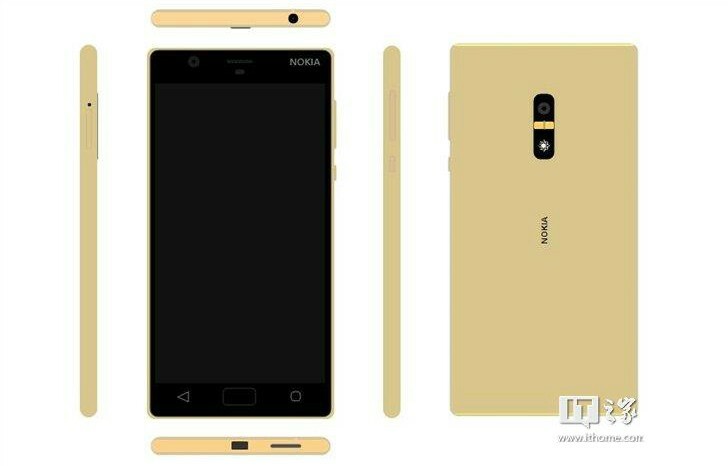 One of the first new Android-powered devices to bear the Nokia name is set to be the D1C, which we've so far seen leaked in three different benchmark databases. And while one of those pegged its screen size at 13.8", the reality is that this will in fact be a phone, according to a new rumor on the matter. Well, not one phone, but two actually. Apparently we're set to see a lower-end 5-inch Nokia D1C with a 1080p touchscreen, 2GB of RAM, a 13 MP main camera, an 8 MP selfie shooter, and 16GB of built-in storage. It will be powered by the Qualcomm Snapdragon 430 chipset, sporting a 1.4 GHz octa-core Cortex-A53 CPU and an Adreno 505 GPU. It will run Android 7.0 Nougat. Another D1C variation will keep all of those specs, except for packing a bigger 5.5-inch display (with the same 1080p resolution though), a 16 MP rear camera, and 3GB of RAM. Both models are already in the prototype testing phase, say purportedly reliable sources. Additionally, one or both of them might look similar to what's pictured in the renders above. No clues about pricing have been outed yet, or any specific release time frame. Nokia could make these official at MWC in February, or it may hold a special event of its own at some other time for their introduction.